But let the past as nothing be. For the future my view is that the fight must go on. We want, and must have, a national policy, as to slavery, which deals with it as being wrong. 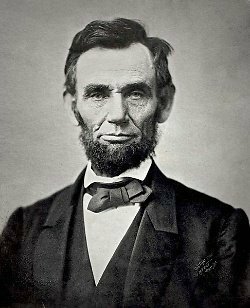 Bio: Abraham Lincoln was the 16th President of the United States, serving from March 1861 until his assassination in April 1865.